Looking for a quieter alternative to Mammoth Mountain but don't want to sacrifice great runs and perfect powder? Look no further than June Mountain. 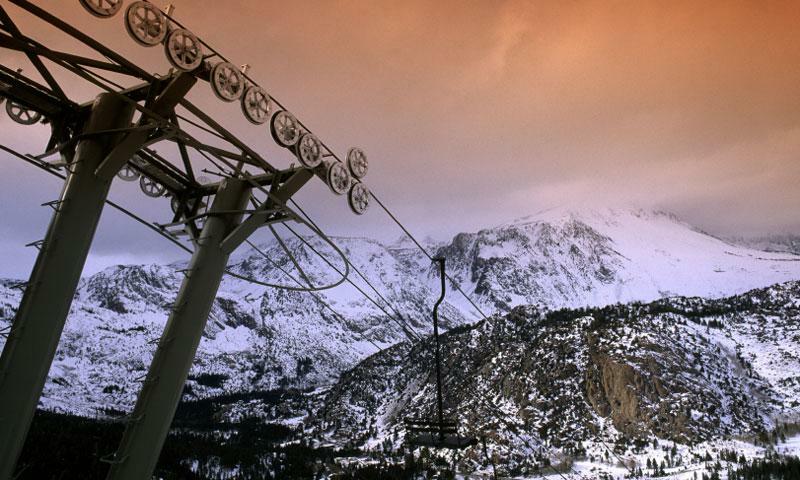 June Mountain Ski Area is Mammoth's sister mountain, located about 20 miles north of Mammoth Lakes. The resort offers a great alternative to Mammoth for those seeking lighter crowds, and a larger percentage of intermediate runs (almost half of the mountain is rated intermediate). The mountain tops out at 10,090 ft with almost 2,600 feet of vertical rise, 250 inches of average snowfall, 35 named trails, and a capacity for 10,000 rides per hour. From Mammoth Lakes, take US-395 N about 14 miles to Highway 158 West\June Lakes Loop. Drive 4 miles to the ski area. June Mountain Ski Resort offers lessons for adults and children at their ski and snowboard school with opportunities for general instruction, park/pipe clinics, and back-country lessons. A full range of equipment is available for rental and purchase at the mountain shop. The resort also rents lockers. There are three restaurants available on the mountain.